Birmingham Airport, originally known as Elmdom Airport is an international airport in the UK with a rich history. Just south-east of the Birmingham city centre, this airport sees over 10 million visitors a year. It serves both domestic and international flights across the world and will soon become the long haul base of Primera Air. Elmdom Airport was officially opened by the Duchess of Kent, Princess Marina of Greece and Denmark on the 8th July 1939. Plans for the airport were submitted in 1933, but there were delays because of the Great Depression. The airport was originally owned and operated by the Birmingham City Council and it served Glasgow, Croydon, Liverpool, Manchester, Southampton, and Ryde. The airport was requisitioned during the Second World War by the Air Ministry. It became RAF Elmdon and was used as a Elementary Flying School and as a base for the Fleet Air Arm. The original grass strips of the airport were replaced by hard runways during this time. Lancasters and sterling bombers were unable to take off from the short runways of Longbridge. They would be transported by road to Elmdon minus their wings. They were put back together at the airport and test flown from the aerodrome. They would then be flown to operational units after being declared airworthy. The aerodrome was returned to civilian use in 1948, though it was still under government control. The site played host to public events such as air races and fares after the war. 1961 so the construction of an extra terminal building for handling international traffic, and in 1967 the main runway was extended to allow for jet operations such as VC-10 services to New York. 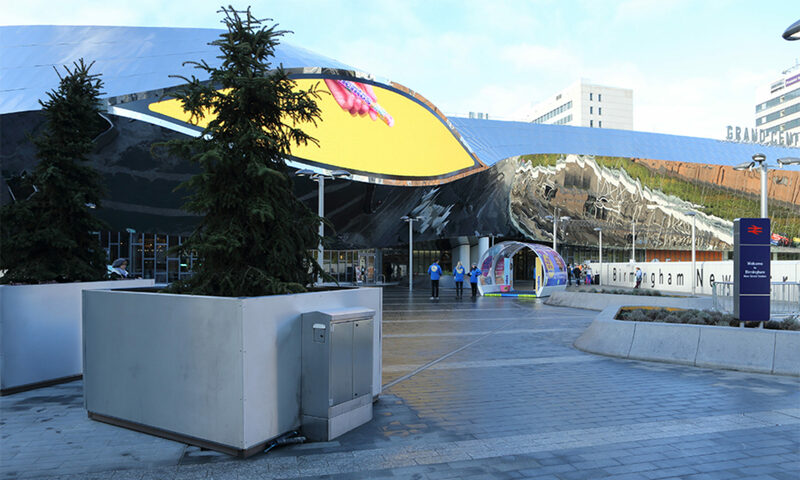 Birmingham Airport published a master plan for development up to 2030 which they called “Towards 2030: Planning a Sustainable Future for Air Transport in the Midlands”. The plan included changes to terminals, off-site infrastructure, and the airfield layout. Among the plans is a plan for a second runway and a new terminal building which could create up to 250,000 jobs. It estimated if these plans do succeed, and the airport could soon handle 70 million passengers a year and around 500,000 aircraft movements. The shorter runway was decommissioned in January 2008 to allow for an expansion in the main runway. 2008 also saw the construction of the new three-storey International pier. The pier was first used by the Airbus A380 as part of the celebrations of the 70th anniversary of the airport. Birmingham International Airport became just Birmingham Airport in 2010 after terminal one and two were merged into a single building. This included a new logo – interlocking circles of blue – and a new slogan – “Hello World” – to reflect that the airport had become a global travel hub. The new control tower was installed in 2012 to replace the original one had been standing since the airport was first opened in 1939. The airport has continued to grow across the past decade and recently received a £100 million investment that will be used for a new baggage handling system, and two new car parks. The airport has two interconnecting terminals, joined together by the Millennium Link building. The Link houses several shops and restaurants, while the terminals house the check-points and security areas, as well as some extra shops and bars. The connection between the terminals was improved in 2011 following the construction of a centralised security area to separate domestic and European passengers from international passengers. 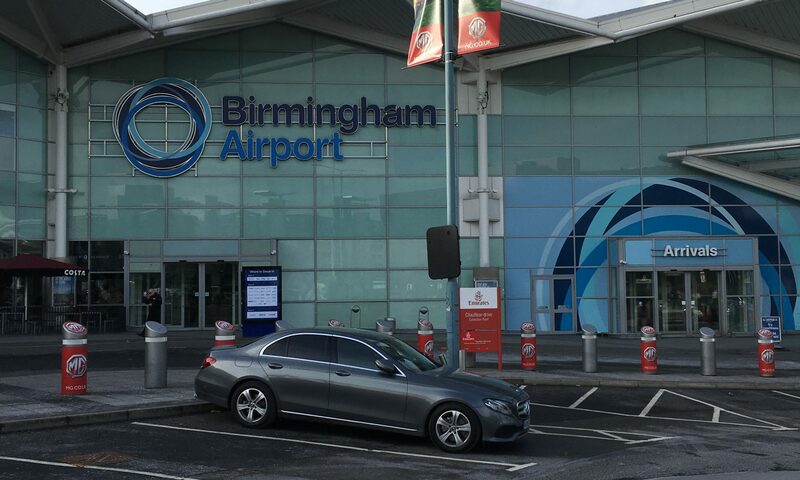 Birmingham Airport hosts a variety of different taxi companies for airport transfers from Birmingham Airport to all other U.K airports. A company which i use and can personally recommend is Beaufort Airport Taxis Birmingham 0121 405 0949. Birmingham Airport has gone through two name changes, two control towers, and service in World War II to stand the test of time as a great airport. It continues to expand and improve and there’s no telling what the airport will be like if the plans for 2030 come to fruition. Hello there and welcome to my personal blog, I am totally new to wordpress but i’m really getting the hang of it all now, it’s actually quite simple. So lets get started, i’m Darren from Birmingham, U.K and i’m studying transportation and logistics. I love to travel so the majority of my posts are going to be somewhere along the lines of transport, travel and automotive.